In 2017, many music greats were lost, including Mel Tillis. On January 31st of this year, friends, family, fans and music industry colleagues of the country legend gathered at the historic Ryman Auditorium in Nashville to honor Mel Tillis. The memorial service, hosted by Ralph Emery, included performances by members of the Tillis Family, Ricky Skaggs, Ray Stevens, the Gatlin Brothers, Lorrie Morgan, Jamey Johnson, Daryle Singletary, Ira Dean, Tanya Tucker, Alison Krauss and the Street Corner Symphony, Collin Raye, Kenyon Lockry, Kree Harrison, Splinter Middleton, and Tillis’ backup singers, the Stutterettes. His longtime band, The Statesiders, accompanied select performances. 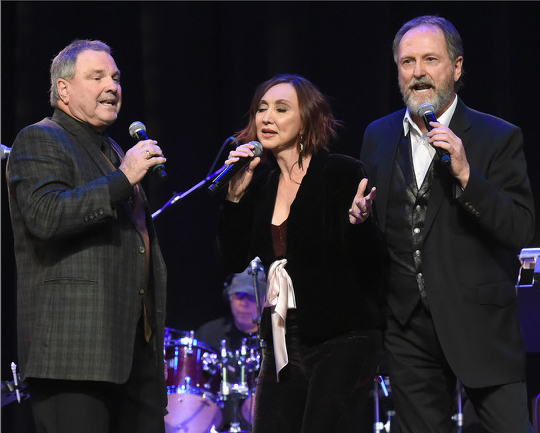 Country Music Hall of Fame CEO Kyle Young, producer Buddy Cannon, and President of Opry Entertainment Steve Buchanan, were also on-hand to speak on Tillis’ career. Famed Nashville songwriter Bobby Tomberlin served as emcee. Many other stars were in attendance to pay homage to Tillis. Audience members included Garth Brooks, Trisha Yearwood, Deborah Allen, Dierks Bentley, Roy Clark, Duane Allen, Darrin Vincent, Lulu Roman, and more. “We’ve always been proud of him but, it’s funny, since his passing, we’ve only grown more proud of his legacy,” says Pam.